It may look complicated but the game play is really simple, and addictive. The computers "balls" are the blue ones. Yourself are the red balls. Easy uh ? The "grid" is what you click on, and when you do it puts a small red ball on the grid square you just clicked on. As you can see on the left, we have 5 big balls all next to one another. The good thing is you can trigger mass explosions by "linking" large balls together. Clicking on the Ball where the pointer is will cause all 5 red balls to explode. While they are exploding they will cover up any of the computers balls on the screen ( blue ). This is the aim of the game to explode as many red balls as you can to cover up the whole grid in your colour, red. Of course the computer will fight back and try to stop you from exploding your balls. The computer has been programmed with how I play the game. Though its not quite got its thinking cap on in the Beta Version. 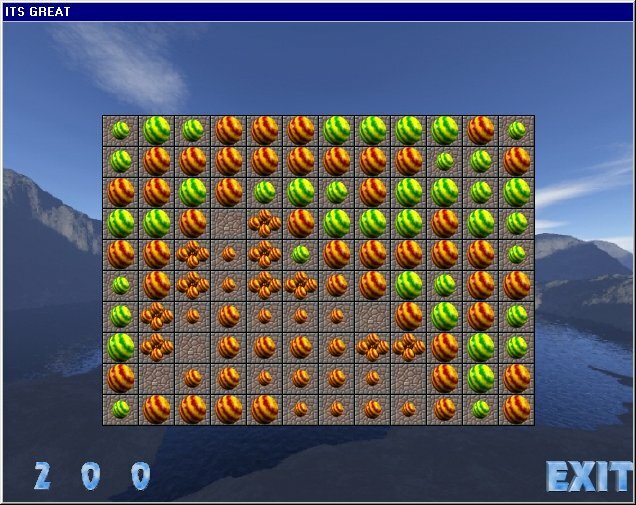 In this Beta version the computer has been set to almost random moves. When all the "tactics" are enabled even I have a job to beat the computer. As the computer was programmed with my "thoughts" , It always makes the 100% correct move ( apart from when it CHEATS! !, lol ). One game lasted for almost 6 hours on a 12x12 grid. It was a case of "Man Vs Machine". As the computer was programmed with my thoughts, its going to think the same way I do and beating it is next to impossible. It's a game of whit and dare. Do you dare wait and build up a lot of large linked balls ? Or do you play it safe ? Its up to you.The screen shot was about 30 seconds into the game and you can see its starting to get hard on where to put your balls and what to do. The screen is only a Test screen and at the bottom is the scores and the top, just a little tactic info decided by the computer. This can actually be ignored. The scores is just for fun and as long as you take over with all your red balls then you will win. Latter I developed a PC version in VB6. 90% of the time was debugging bugs in windows dll's and VB6 bugs. After months of debugging I eventually gave up. 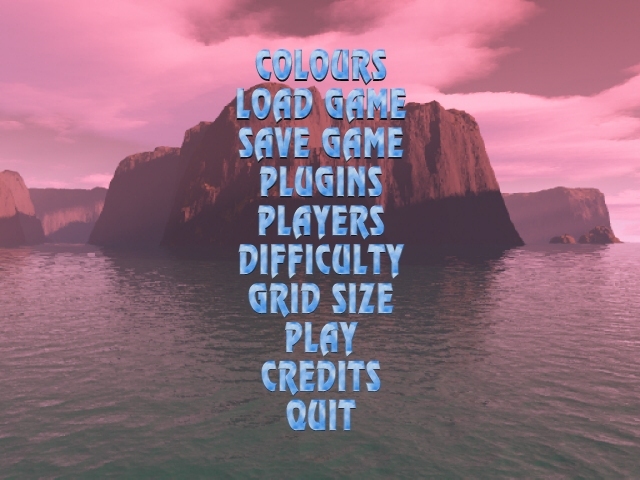 VB6 and windows dll's were just to buggy to create a serious game. 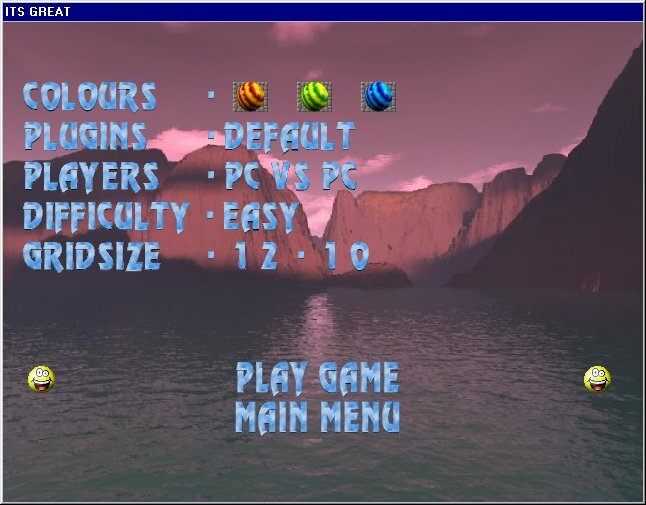 The game is however playable as a BETA version, though due to lack of time and a few hard drives which blew up the PC version never made it very far. The project was fixed up some time latter though due to lack of time and all the bugs I lost interest in it. 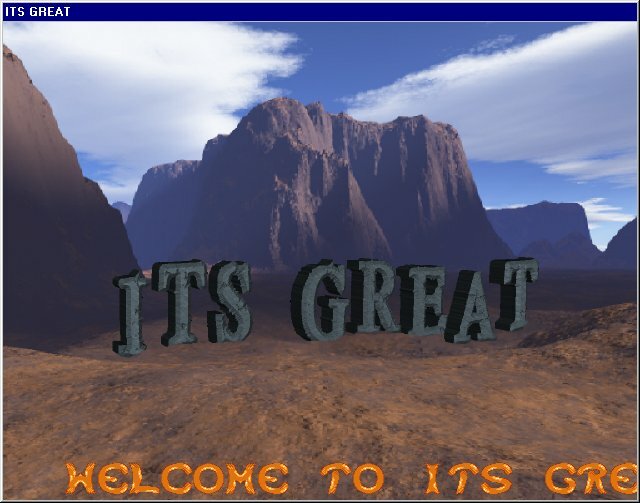 Title screen, yes with a really long annoying scroller! I will try and find the falcon STOS source code but it was never completed. The PC version was not completed either. Its was programed in VB6, but unfortunatly there was just too many memory leaks and buggy windows dll's to make the game stable, so the project was abandond.